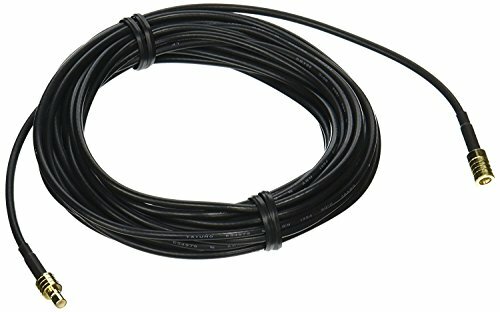 This antenna extension cable works on all XM Radios. It is un-amplified, but utilizing low loss cable we are able to achieve excellent results. It is an excellent low cost solution for users that do not require the extended length 50' Delphi brand cable. The universal antenna extension is compatible with any single lead antenna for the XM Satellite Radio receivers, including the XMP3, Skyfi, PCR, Roady and Commander. Cable has a straight male and a right-angle female SMB connector. You may experience slight loss of signal reception since there is no amplifier to counter the minor signal loss that the added cable length causes. DO NOT use more than one of these 20' extension cables in any antenna extension configuration. To disconnect the cable, grasp the gold connector only. Pulling on the cable itself could cause internal damage.